Earlier this month we were lucky enough to have Mark Bello, of Pizza A Casa Pizza School, stop by the Baking Steel test kitchen. 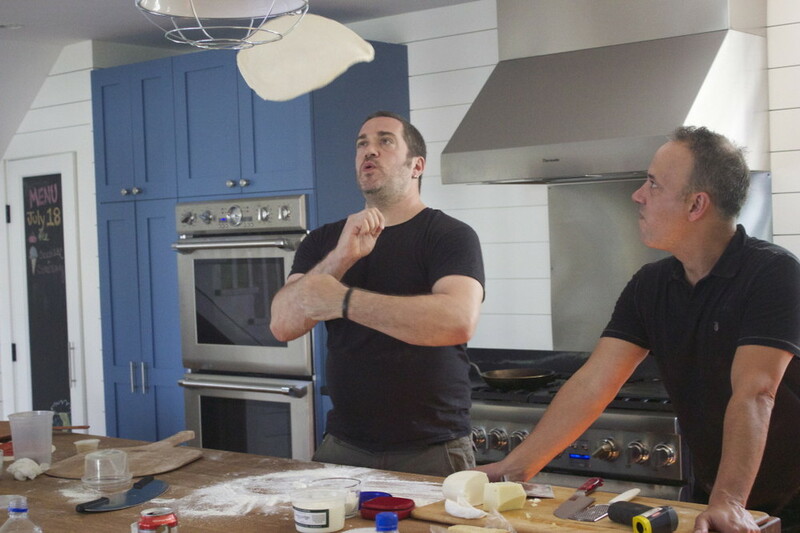 Mark teaches an iconic pizza class in the lower east side of New York City. If you haven't been, I highly recommend checking it out, people come from around the globe to take a class with Mark and learn the ins and outs of home pizza making. He knows his stuff. I met Mark just after our KickStarter days. I visited him in NYC and of course, brought a Baking Steel with me. He tried it out and gave it his blessing. He was so impressed that he even began using the Baking Steel to teach his classes. The same guy who Food and Wine called, "the authority on how to make New York-style pizza at home" is using our Baking Steel to do so. How cool is that? I had made a couple batches of dough the night before so by the time Mark and his wife, Jenny arrived, the dough was ready to go. Mark showed off his stretching techniques and surprised us with a few dough tosses. We had a plethora of ingredients and no set menu. 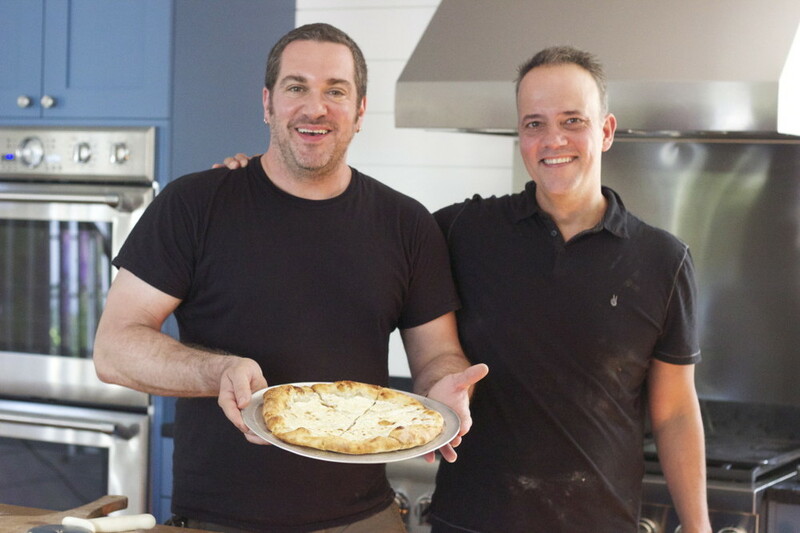 Mark layered the first pie with fresh mozzarella, then topped it with a ricotta and butter mix. 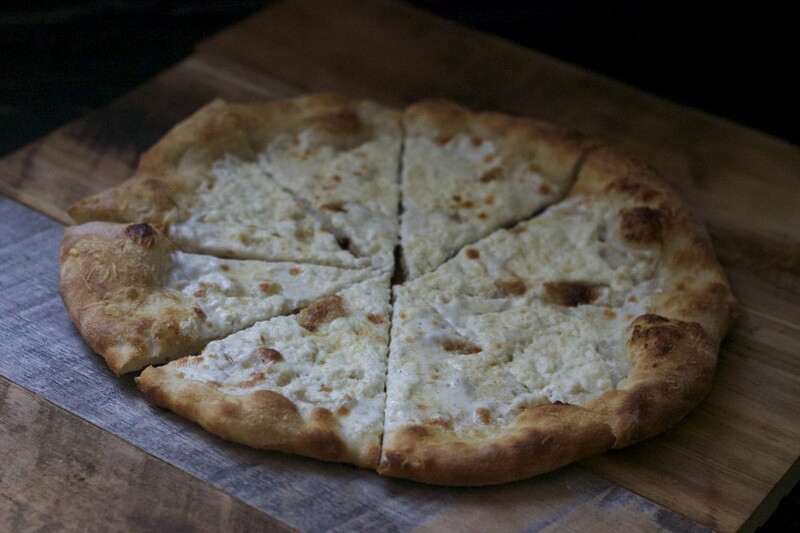 After that, he shaved on some parmesan romano and launched it onto the Baking Steel. Once it was done, he topped it with a little oil and we all grabbed a slice. Unbelievable, I will have to make this recipe again. Next up, a simple margherita. I dare you to tell me that you arn't drooling over that picture. 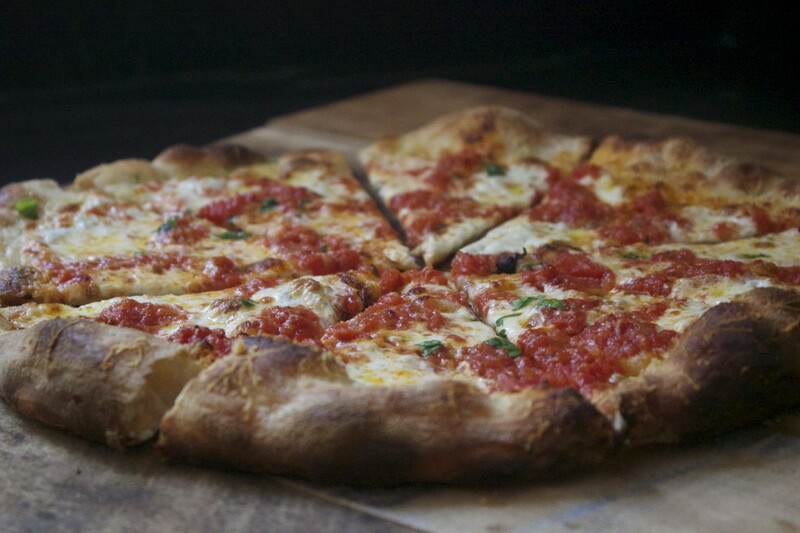 Margherita's are one of my all time favorites, so simple yet so good. By the third pizza, we were pretty full but we couldn't help but make just one more. 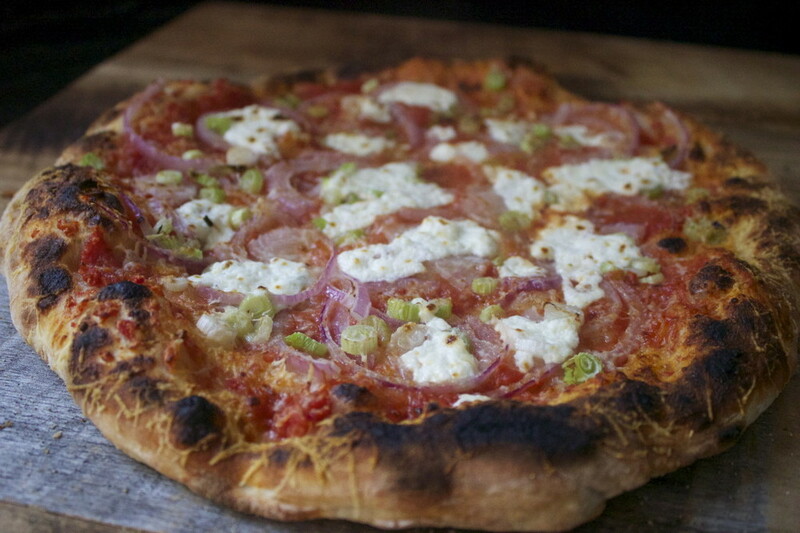 Green onion, red onion and burrata cheese. It was killer. All in all, it was a great day, I got to make pizzas and talk shop with one of the bests. Like I said, if you find your self in NYC I would highly suggest signing up for one of Mark's classes. He is a super down to earth guy who is going to help you get the confidence and skills you need to make some seriously good pizza at home.